ARE YOU LISTENING TO ME, I’M TAKING THE CAR AND I’M GOING TO THE 7-11 FOR PARLIAMENT LIGHTS AND A MAD DOG 2020 YOU CAN’T STOP ME. 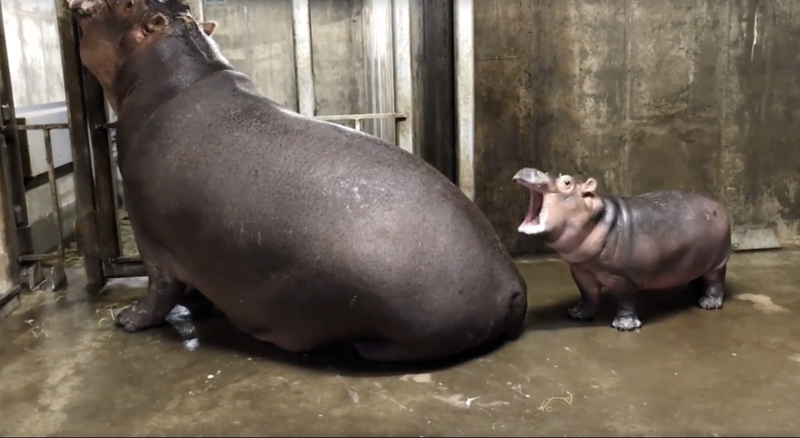 Just an important update on Fiona, a hippo learning that life is but a fool’s errand. Our big rubber girl Fiona, a bouncing, ebullient ball of joy, has been caught on camera doing a “boop” to her mother, Bibi. As I am not a hippo expert and would never proclaim to be, I’m not one hundred percent sure what a “boop” is, but something tells me that this is slightly more sinister than that. In human-animal parlance, a boop is what you do to the small, damp nose of your cat or the soft velvet ears of your dog. Perhaps in the animal kingdom—like, between animals—a boop is the precursor to an all-out war. Fiona’s been through a lot in her life. Cameras and viral fame are likely taking their toll. Her keepers are her protectors, but her mother brought her into this cruel world. Once she realized that life is a scam and her fame, much more so, she’s acting out. This is not a boop of affection; it’s a silent scream absorbed by her mother’s maw. It’s her rebel yell. She’s testing her strength and her mother’s tolerance. She’s waiting to see what she can really do.